Check out these Ragdoll cat photos to learn a little more about the breed and see specimens of a few different color points and patterns. There are actually four acceptable color points that can be paired with six different patterns. This leads to a lot of variety in this breed, yet some characteristics are similar across the board. All things considered, the Ragdoll is an extremely interesting cat to say the least. The Ragdoll gets its name from the fact that these cats go rather limp when they are picked up. All cats are masters at relaxing, but Ragdolls take this to an entirely higher level. They are cuddly to the extreme. Another trait common to all purebred Ragdolls are their lovely blue eyes. 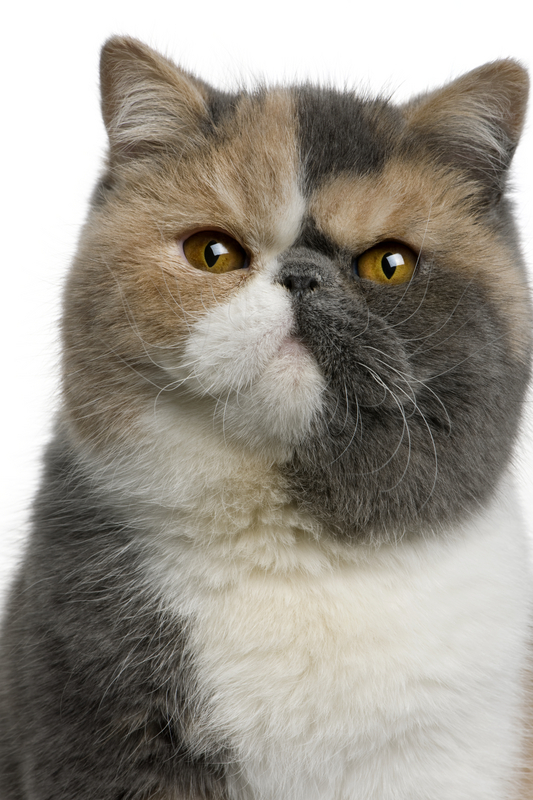 This color is called for in the Cat Fancier's Association breed standard, and the color is described as "vivid". This photo shows a seal point lynx Ragdoll cat. The lynx markings are very evident on the cat's paws, legs and head, but they taper off into a cream base closer to the cat's body. Some Ragdolls are mitted. This means they have white boots or stockings on their legs. Here is a lovely, blue point Ragdoll cat. This photo also provides a good view of the longer neck ruff that is desirable in these cats. Look closely at this cat's fur. A Ragdoll's coat should be moderate in length with an abundance of guard hairs. If you enjoyed this slideshow, check out Types of Siamese Cats for photos and information about another great breed.